Source: Federal Reserve Economic Research – FRED. 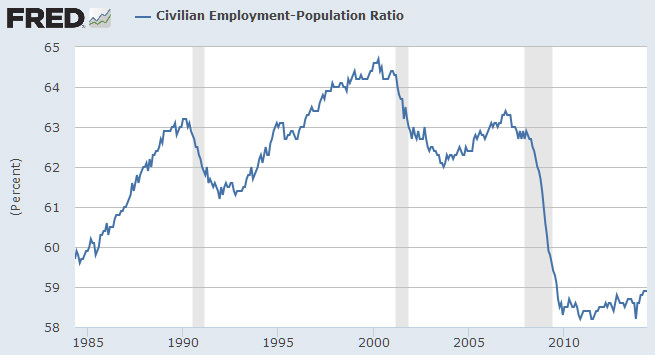 The labor force participation rate, which is the percentage of the civilian non-institutional population who participated in the labor force by either having a job during the month or actively seeking one, hit a record low in April 2014. 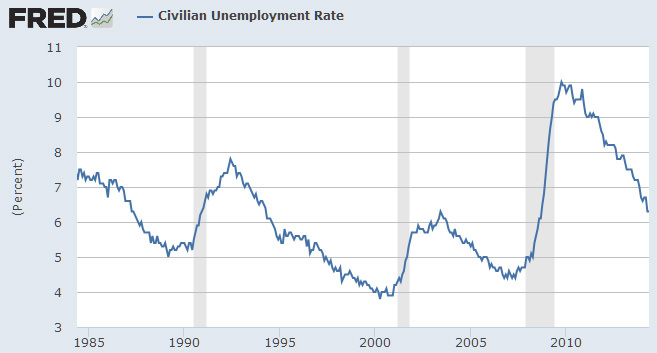 In other words, U.S. Jobs market is in the worst situation since last 30 years. In the United States, the civilian non-institutional population refers to people 16 years of age and older residing in the 50 States and the District of Columbia who are not inmates of institutions (penal, mental facilities, homes for the aged), and who are not on active duty in the Armed Forces.